A nationally acclaimed singer-songwriter who has spent more than 20 years touring as a musician, and who just happens to call Presque Isle his hometown, will head home for a special performance at the beginning of the new year. Ellis Paul will take the stage at the University of Maine at Presque Isle’s Wieden Auditorium at 7 p.m. on Saturday, Jan. 12, 2013. This special concert serves as a fundraiser for children’s programming at the Wintergreen Arts Center as well as UMPI’s efforts to make 149 State Street a Cultural Center with established museum-quality, downtown gallery space on the floor above WGAC. This particular visit home is an extremely special one for Ellis Paul. Prior to the Jan. 12 concert, he will be inducted into the Presque Isle High School Hall of Fame. He was a star runner in high school who still holds school records and went on to run on scholarship at Boston College. During the Jan. 11 activities at the local high school, Ellis Paul also will speak to students about his time at PIHS, his path to becoming a musician, and what his world is like now, and then offer up a short performance for the school. On the afternoon of Jan. 12, Wintergreen Arts Center officials will host Ellis Paul as he provides a mini-performance and musical activity for children at The Whole Potato Café and Commons. Proceeds will go to the local Partners in the Arts organization. That evening, Ellis Paul will take the stage for an evening of familiar favorites as well as songs from his latest albums, City of Silver Dreams (holiday album) and The Day After Everything Changed. 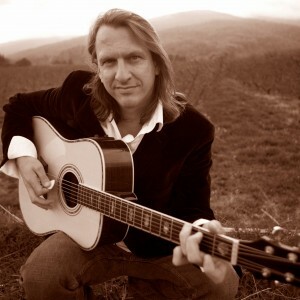 A veteran, constantly-touring troubadour, Ellis Paul (www.EllisPaul.com) is one of the most respected artists in the folk genre. Since even before the song The World Ain’t Slowin’ Down came out as the title track to Jim Carrey’s blockbuster film, Me, Myself and Irene, singer-songwriter Ellis Paul has been impressing audiences and earning loyal fans around the world with his meticulously written songs and compelling live shows. 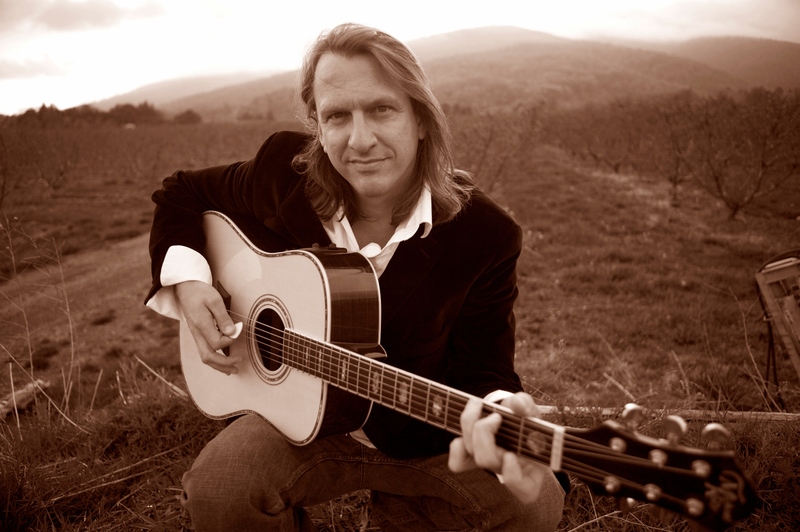 As one of the top American singer-songwriters, Ellis Paul has won numerous awards including an unprecedented 15 Boston Music Awards. It’s his literate streak that inspires television and film to frequently feature his songs in numerous TV shows as well as several other Hollywood films such as: Hall Pass and Shallow Hal, both directed by his big fans The Farrelly Brothers. He has performed with countless acclaimed musicians, including Patty Griffin, John Mayer, Ani DiFranco, John Prine, and Sugarland. At the request of Woody Guthrie’s daughter Nora Guthrie and after several trips to the Woody Guthrie archives, he even has a co-write credit with the music legend, their song God’s Promise. In addition to performing more than 150 shows annually for the past 20 years, Ellis Paul has performed at the Rock ‘N Roll Hall of Fame, Carnegie Hall, festivals, clubs, schools and community coffeehouses all over the globe. Through the record label Black Wolf Records, which he co-found in 1994, he has released over 20 CD projects, as well as book and DVD projects. Ellis Paul is currently on tour in support of his latest adult album, The Day After Everything Changed, which includes five co-written tracks with Kristian Bush, of Grammy Award-winning country duo Sugarland, as well as his latest family album, Gold Parents’ Choice award winner The Hero in You, which is centered on true American heroes throughout history including Rosa Parks, Ben Franklin, Jackie Robinson, Woody Guthrie, Martha Graham, and more. This collection of songs was created by Ellis Paul to remind both parents and children of the importance that these incredible individuals had on American culture and history, and he hopes to inspire kids to reach for the same great heights that these wonderful characters achieved. For more information about the concert, please contact UMPI’s Community and Media Relations Office at 768-9452. To read up on the latest news about Ellis Paul, visit www.EllisPaul.com.